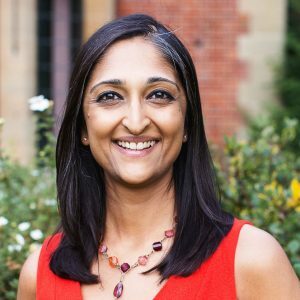 Award-winning patient advocate Trishna Bharadia speaks to Marco Ricci about the challenges facing people with multiple sclerosis (MS) and what needs to be done to improve management of this unpredictable condition. Around 2.5 million people in the world currently live with multiple sclerosis (MS). And research suggests that just over 100,000 people live with the condition in the UK. Diagnosed with relapsing remitting MS at the age of 28, Trishna Bharadia channels her own experience to help others cope with the condition. “I’ve been diagnosed with MS since 2008, and services have come on a lot over the years. But, nevertheless, there is still lots of room for improvement in MS services across the country. “One of the biggest problems is the lack of nurses: for people with an incredibly unpredictable condition like MS, it’s important to feel like someone is always available to help you. “The number of specialist MS nurses in the UK is far below what is required. They can coordinate so much of the care, and often take the lead in streamlining the care process. With their help, nurses take a lot of the workload off the neurologists. “Another big problem is that MS services aren’t equally spread across the country. If you live in a city, for example, you might be more likely to have access to a hospital that specialises in MS, gets involved in research and offers a team of specialist MS neurologists. If you live in a rural area this is less likely to be the case. In addition, MS Therapy Centres aren’t spread equally throughout the country. These are independent charities that offer services like physiotherapy, oxygen therapy and alternative therapies to people with MS. I’m able to access two within an hour’s drive from where I live. However, I know people who don’t have any in their region, let alone their local area. “Unfortunately, this leads to some MS patients being diagnosed and then ‘falling off the edge’ where they don’t regularly see anyone who specialises in the condition. 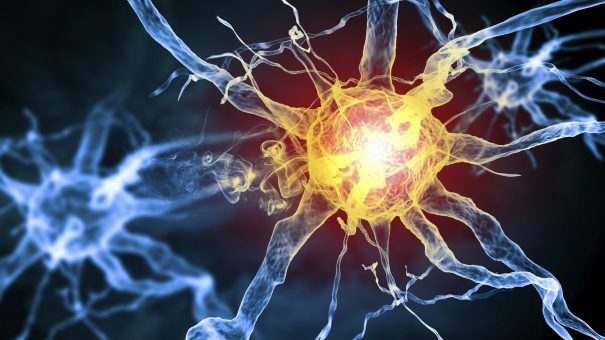 “Overall, there needs to be a more proactive approach to MS. Because the disease is changeable, and therefore so are patients’ needs, there must be a proactive plan in place to address any changes as soon as possible. In its current state, the health system simply isn’t prepared for this. Physiotherapy is a perfect example. I believe that patients should be given access to the treatment as a preventative measure, because it is essential for maintaining mobility and muscle strength. At the moment, however, physiotherapy tends to be given in response to a relapse. “Part of the problem is to do with a lack of awareness among patients as to their own rights. The NHS Constitution outlines that a patient can choose who they want to see and where, but many think they have to go to who their GP recommends, or be seen at a hospital in their local area. In general, GPs don’t offer this kind of information, meaning that some patients either stay with the neurologist who diagnosed them – who may not be an MS specialist, because they don’t know they can transfer, or they simply give up. “Technology is likely to play a big part in improving MS care. Simple things like email or Skype can massively improve access and speed of intervention. “From a system point-of-view though, the NHS needs an overhaul in the way it collaborates between trusts – or rather how it doesn’t! The lack of record sharing between hospitals can make it very difficult for MS patients to receive timely and coordinated care. “The MS Brain Health Initiative is a remarkable programme that is pushing for a change in MS care. It is campaigning for a move away from the ‘wait and see’ approach that the NHS has traditionally relied on and instead advocates a proactive care model. “There are some exciting things happening in research, too. The potential use of MRI scans and lumbar punctures to give a prognosis would be a huge step forward – patients simply aren’t given a prognosis when they’re diagnosed at the moment. That will help direct treatment choice and therapeutic interventions.